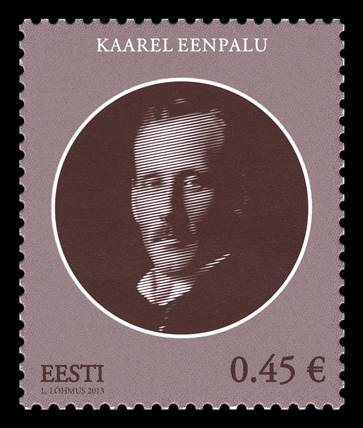 1919-1920 State Auditor, 1920, 1921-1924 and 1924-1926 Interior Minister, regarded as founder of Estonian police. 1926-1934 (with intervals) speaker of the 3rd, 4th and 5th parliaments. 1934-1938 interior minister and deputy prime minister, 1938-1939 prime minister. 1919-1920 member of the Constituent Assembly, 1920-1934/1937 member of the 1st to 5th parliaments, 1938-1940 member of Chamber of Deputies. Finished the H. Treffner's Private High School, in 1909-1914 studied in the legal department of Tartu University, graduated at the Moscow University. In 1914-1917 in World War I; 1917-1918 commander of 5th Brigade of Estonian artillery. In the War of Independence of 1918-1919 commander of Tartu schoolboys’ battalion, 1919 commander of 7th battery of 2nd Estonian Artillery Regiment. 1910-1912 and in 1915 member of editorial board of the daily Postimees, 1918 editor, 1920 editor-in-chief of Tallinna Teataja, 1924 editor-in-chief of Kaja, 1925-1940 keeper of Hellema Farm in Rae rural municipality near Aruküla, 1939-1940 director-general of Eesti Fosforiit at Maardu. 1927-1932 chairman of the Education Union, 1928-1933 chairman of the Estonian group in the International Parliamentary Union, 1930-1932 head of Young Eagles, 1930-1935 of the Estonian-Polish Association, 1932 Chairman of the Chamber of Agriculture, 1924-1940 deputy chairman of the Board of Governors of the Defence League, 1923-1940 member of the Estonian Olympic Committee, etc. 1922 honorary member of the Board of Governors of the 2nd Artillery Regiment, 1929 of the Polish-Estonian Association, 1932 of the Tartu Students’ company of the Defence League, 1936 of the Tartu Estonian Agricultural Association, 1936 of the Estonian Voluntary Firemen, 1938 of the Estonian Natural Resources’ Institute, 1937 honorary citizen of Rae Rural Municipality. In 1918 published the book „Rule of Law“. 27 July 1940 imprisoned by the NKVD, died in imprisonment.